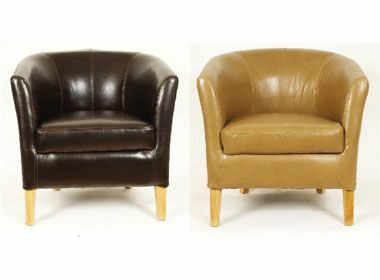 Leather tub chairs in a choice of eight leather colours with solid beech legs in a Natural or Dark wood finish. The leather upholstery is crib 5 fire redundant for commercial applications and use in public spaces. Toledo tub chairs are held in stock for a 3-5 day delivery to mainland UK. 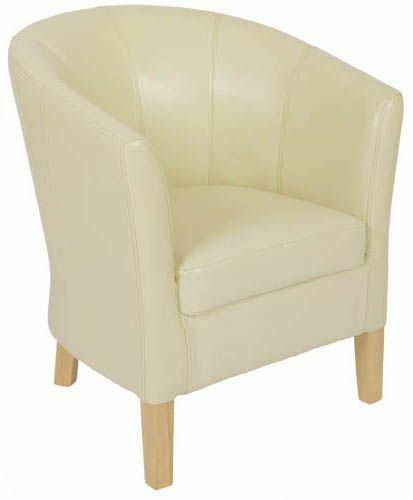 These tub chairs are suitable for commercial use and are available with a choice of walnut or natural wooden legs. Delivered assembled and ready to use. These tub chairs are not available to domestic customers. Please contact our sales team for further information on Toledo commercial tub chairs.